As one of the B-complex vitamins, B9 has perhaps one of the most recognizable scientific names: folate (in natural foods) and folic acid (as a supplement). This essential vitamin’s primary purpose is to help the body produce genetic material, especially during pregnancy, early childhood and into adolescence. It also helps prevent or treat a number of medical conditions, such as pregnancy-related anemia. Vitamin B9 is essential for helping the body replicate genetic material, including DNA and RNA. Because of this, maintaining an adequate supply of B9 is especially important for people experiencing rapid growth, including pregnant mothers, infants and teenagers. Folate is the name for vitamin B9 that occurs naturally in foods such as various types of nuts, seeds, fruits and vegetables. In reality, there are several different folates, all of which serve a similar purpose in the human body. Folic acid is the name of vitamin B9 in supplement form. The chemical makeup of folic acid is slightly different from the naturally occurring form, and studies have shown that it may take the body longer to process folic acid. Even so, because of the importance to vitamin B9 in the human growth process, many countries require that certain foods – such as grain products like breads and cereals – be fortified with folic acid to ensure healthy development. In general, women who are pregnant should get 400 – 600 micrograms (μg) of vitamin B9 per day (recommendations vary). There are a number of additional medical uses of vitamin B9. Fertility: In addition to preventing birth defects, B9 can help increase fertility in both men and women. Strokes: Some studies have indicated that B9 can help prevent strokes by reducing levels of homocysteine – an amino acid that can damage certain types of cells – and by regulating blood pressure. Depression: There is some evidence that low levels of folate in the body may be linked with depression; however, further studies are needed. Degenerative Conditions: At least one study has shown that taking supplements that include folic acid can reduce the likelihood of developing age-related macular degeneration, a condition that can result in loss of vision. Likewise, vitamin B9 may be helpful in preventing hearing loss in old age. Try some Vitamin B9-Rich Foods! While many nuts contain vitamin B9, hazelnuts have some of the highest amounts of this essential vitamin. Grind them up or use them whole to add an extra nutritional punch to your next snack. Chock-full of many vitamins and minerals, including vitamin B9, strawberries can be a snack of their own or can be enjoyed as a cereal topping, mixed in a smoothie or put in a trail mix. The possibilities are endless! Peanuts are everywhere, and unless you’re allergic to them, you should be including them in more of your snacks and meals. 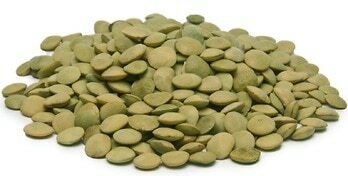 Technically a legume, these nutrient-rich snacks hold more than 60% of the RDA for folate in a single serving. These chips are both delightful and one-of-a-kind. Better yet, they are high in folate and other nutrients – which makes them a perfect snack for any occasion, whether you’re on-the-go or hosting a party.